It's no secret that things have been a little hectic around here. (Hence the radio silence over here one the blog) We're all back to our routines which includes Jacob and I getting up super early to get off to school on time and then Daddy leaving for work shortly after we get home. Because he works unusual hours, he usually eats a meal either before he goes to work or when he gets home. He doesn't have to take a "lunch" at work, so he prefers not to. That means that the food we send with him has to be easy and quick to eat on the go. 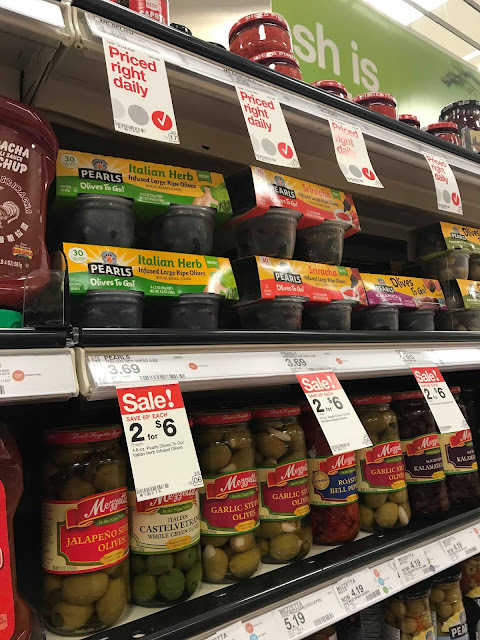 He's long been a fan of olives and Pearls® olives recently launched three new flavors: Taco, Sriracha, & Italian Herb which add even more variety. 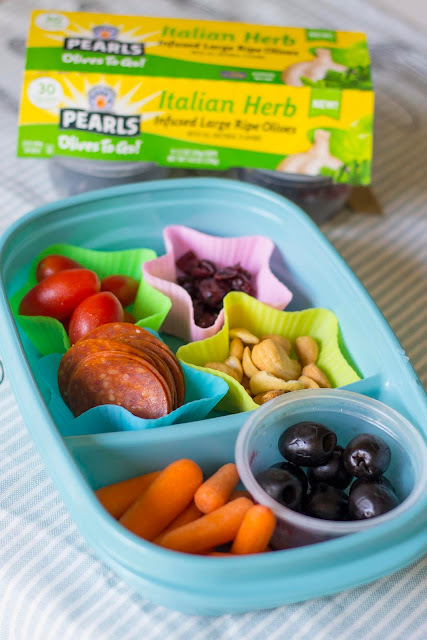 The little to-go cups make the perfect compartment inside the Tupperware with plenty of room for other finger foods, and Pearls® are keto friendly, gluten free, & vegan! We like to add veggies - tomatoes, cucumber, carrots, broccoli, etc. As well as protein - salami, pepperoni, or cheese. And some nuts like cashews or pecans too. We'll toss in some dried cranberries, raisins, or trail mix for just a touch of sweet. 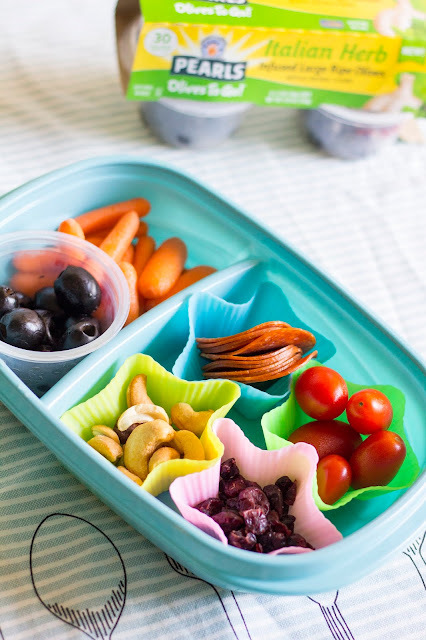 It's not just Daddy that likes a snack box though, I regularly pack these to take with us on picnics, to sports practices, on our way to church … pretty much any time we're on the go! Jacob likes them just as much as we do! You can purchase Pearls® on amazon, or using their store locator. AND, you can save on Pearls® by clicking HERE! Life is better with Pearls®! 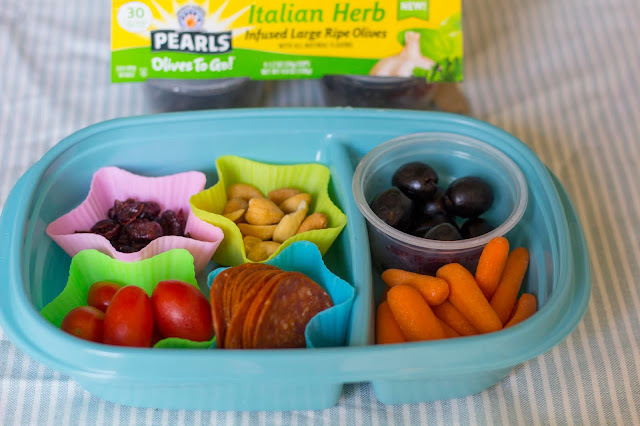 1 comment on "Snack Boxes "
Izzy is one of the only kids I know obsessed with olives! 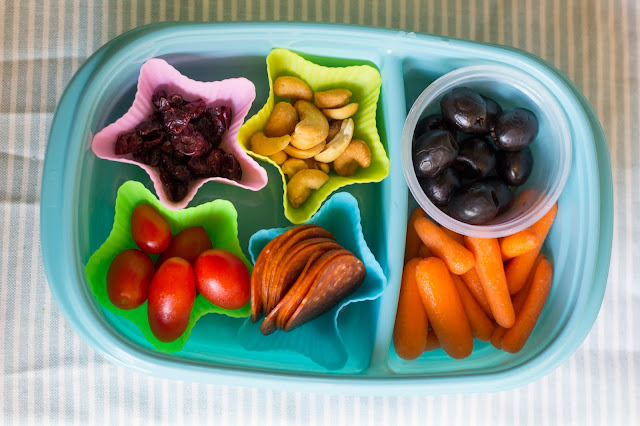 We love these for on the go!